Hello, this is “S”, engineer. 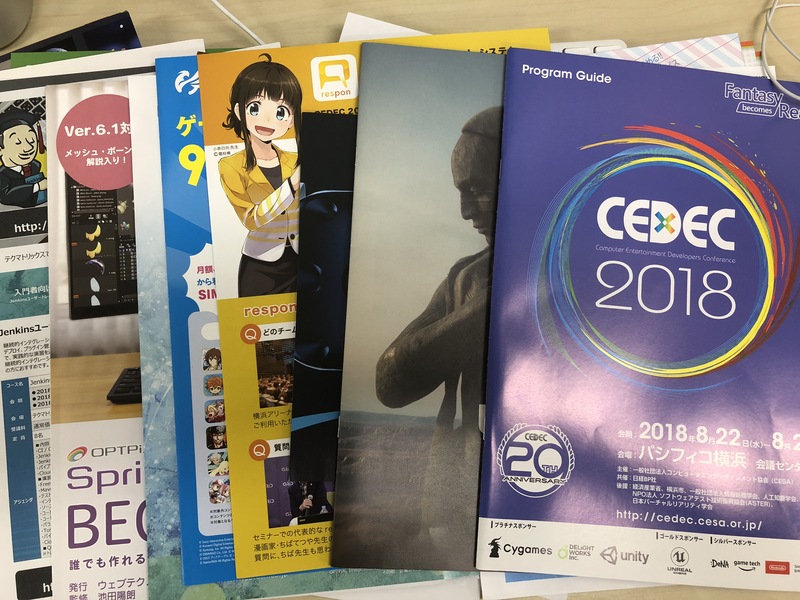 At AMATA, the company pays expenses for the employees to participate in game-industry events such as CEDEC in order to gain useful knowledge. This year, the company has sent me to study the industry for three days. I would like to start by pointing out three problems with this event. 1. There are too many people. 2. Sometimes different sessions which you both want to watch are scheduled at the same time. 3. You can not enjoy lunch at your leisure. The best solution for these problems would be using “time shift”. The day after the event, CEDEC is broadcast as a recording. With the time-shifted broadcast, you can watch things that you could not watch live because there was a different session you did not want to miss or because there were too many people. Enough about time shift, let’s talk about the session themselves. 1. As smartphones become able of rendering better and better graphics, the demand for old-fashioned native-rendering skills increases. In recent years, the expectations for smartphone game graphics have become higher. Complex effects which were common in standard games but often omitted in smartphone ones are starting to appear in famous smartphone games. Of course, the phones’ performance is getting better, but listening to the graphics-related sessions made me think that those improvements in graphics are due to careful fine-tuning. There was a company discussing their training curriculum for graphics programmers, explaining how difficult it is to find ones that can handle low-level processing as the demand is so high. Also, as newly graduate employees need training, they held a ten-day graphic programming camp for newly graduated and medium-level employees. Their thinking was that by filling the gap between the requirements for engine developers and game developers, they could achieve better tuning for each title and increase the quality. Despite game engines being extremely popular nowadays, developers who are well versed in low-level processing are more and more valuable to a company. If I want to keep working, I had better study not only engines but also low-level processing! …Is what I thought in fear. 2. Platforms and game development know-how for html5 are increasing. Some recent browser games achieve a UX comparable to that of native applications. However, be it partial logic script DL, information exchange during screen transitions, handling of the audio and video playback, or other functions, this UX is not usually achieved through elegant means. In addition, there were lots of interesting sessions regarding, for example, the work methods of developers from outside Japan or UI creation principles for designers.